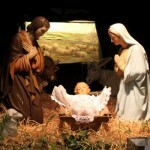 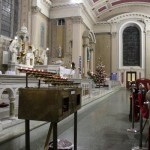 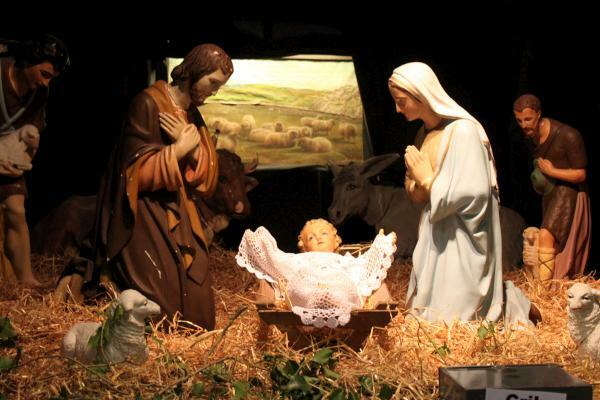 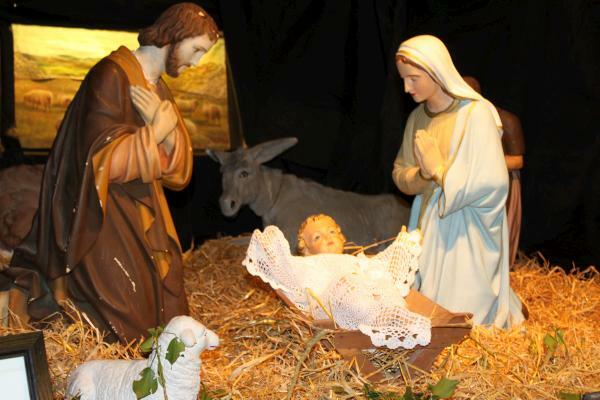 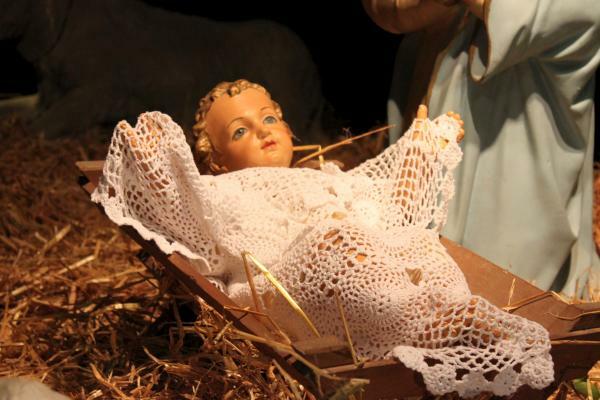 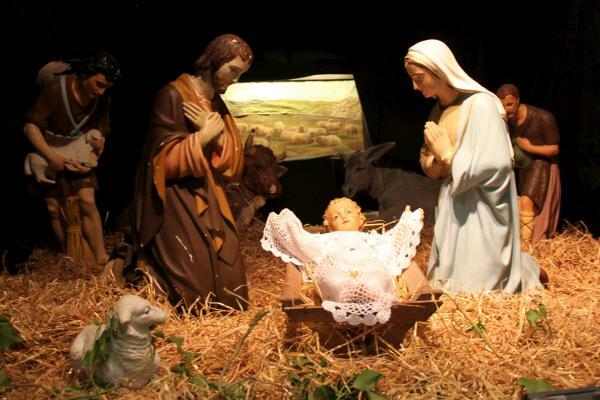 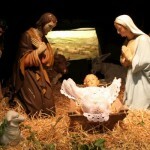 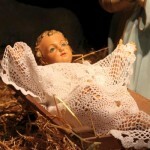 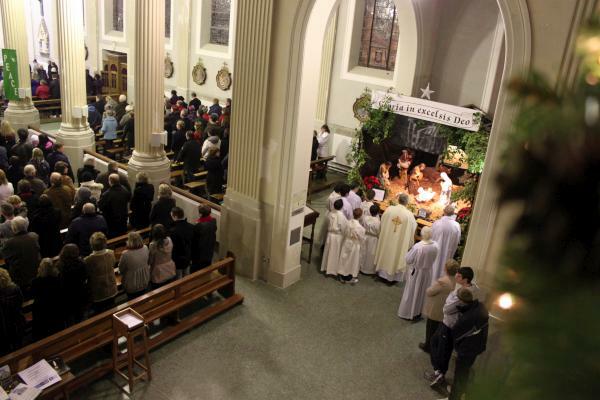 Placing the Infant Jesus in the Crib at Christmas Midnight Mass in St. Patrick's Church, Millstreet. 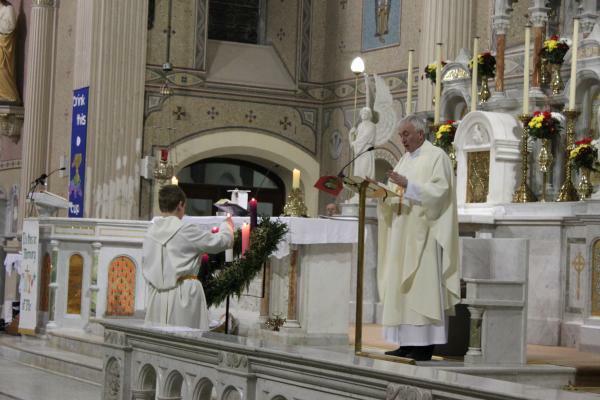 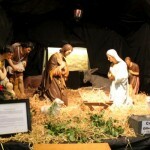 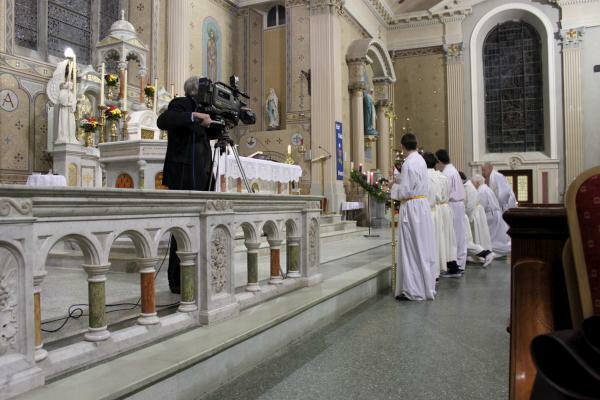 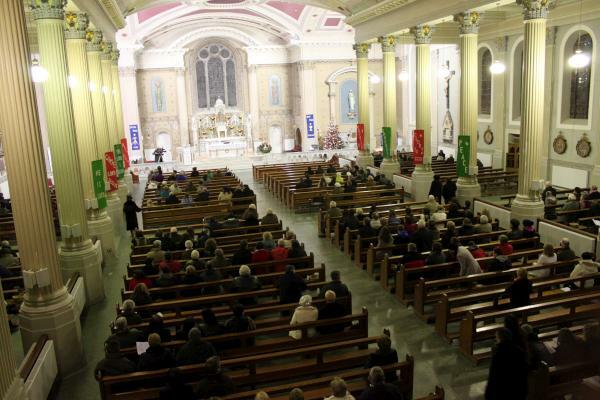 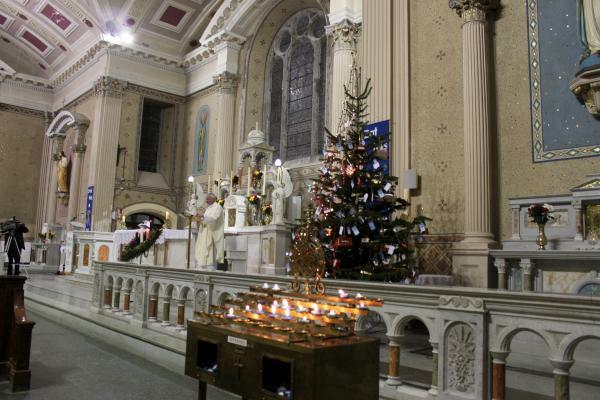 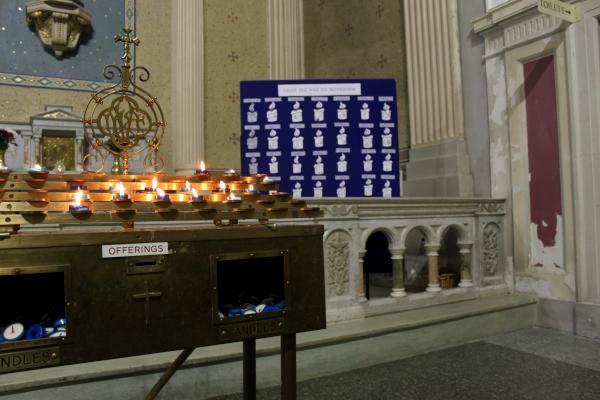 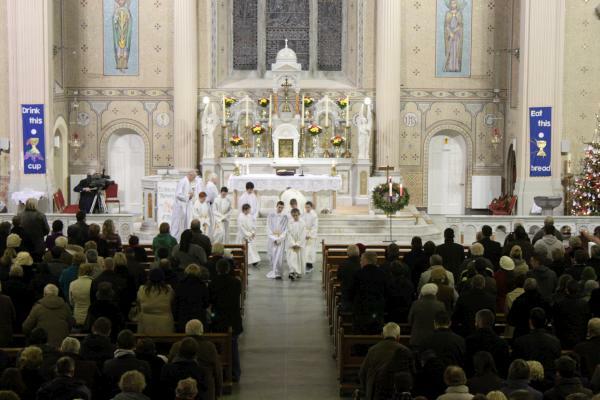 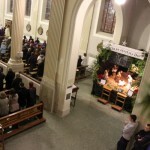 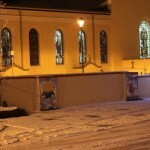 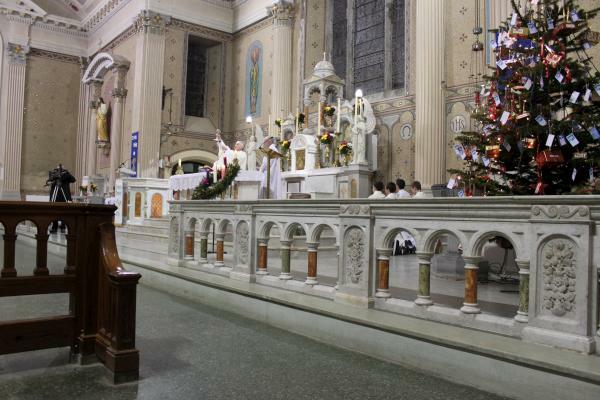 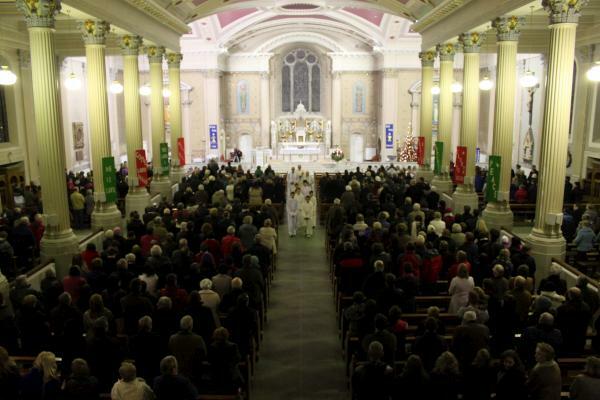 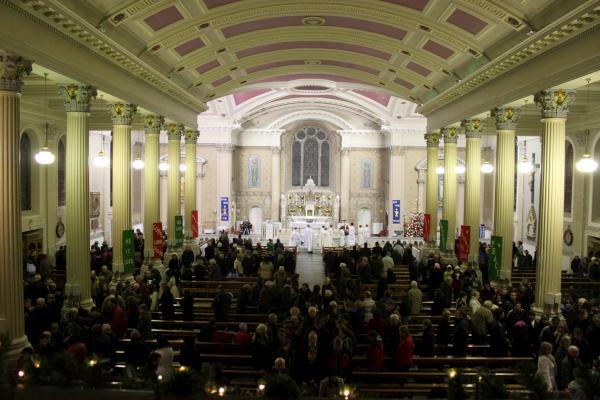 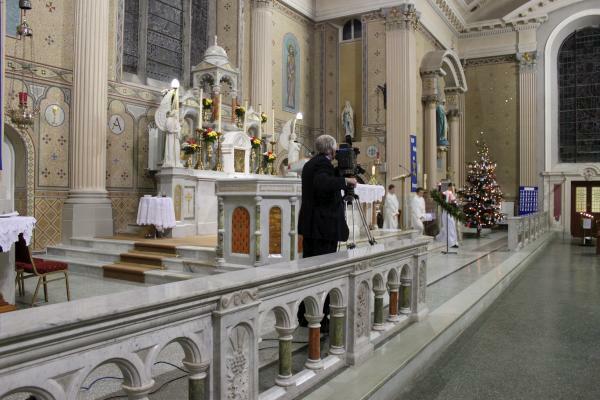 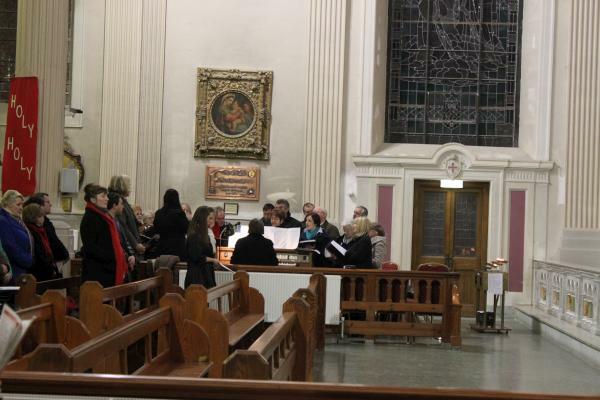 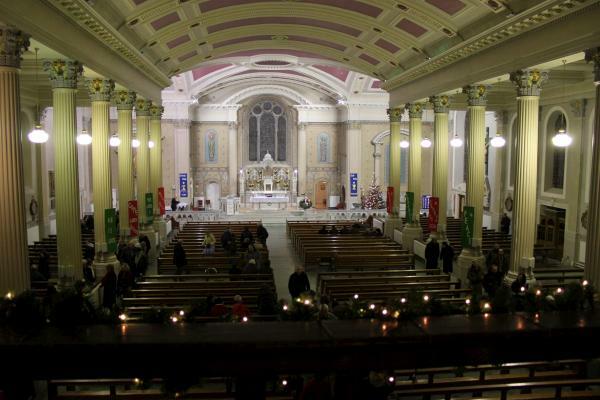 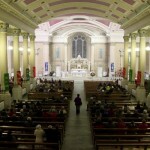 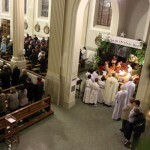 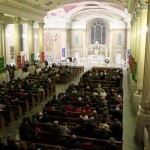 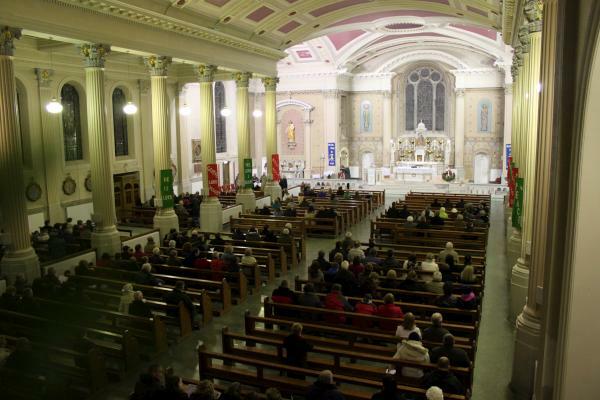 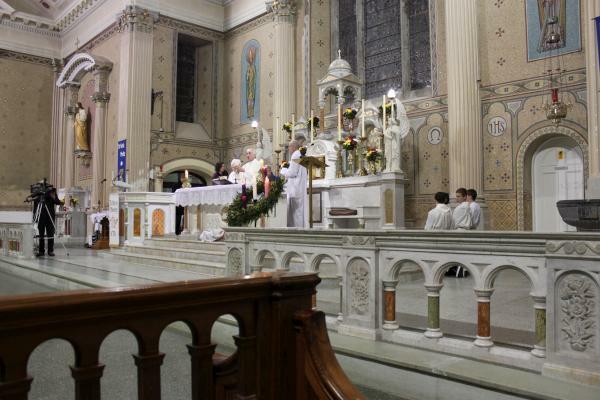 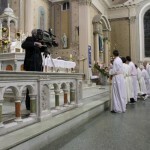 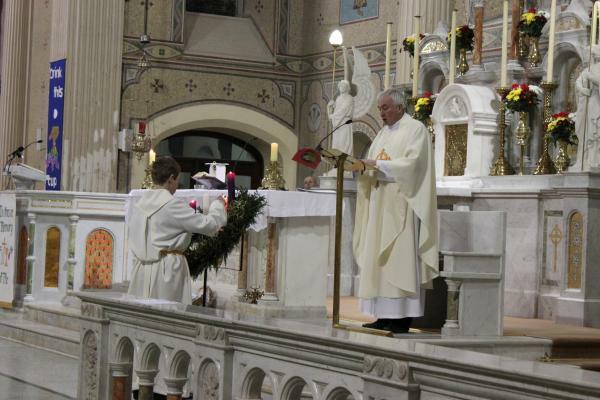 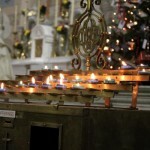 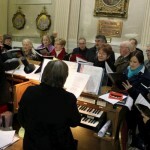 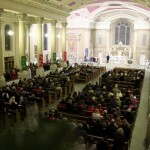 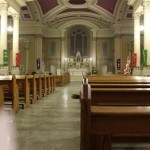 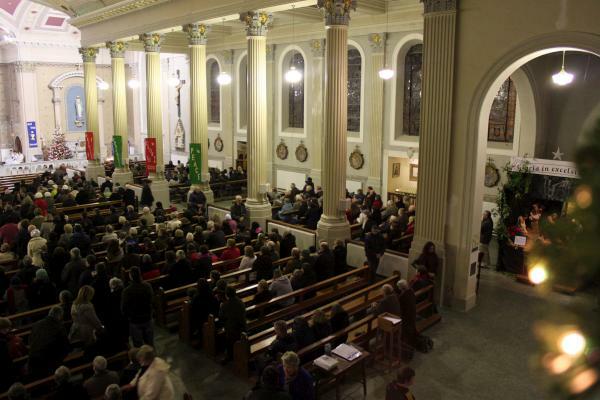 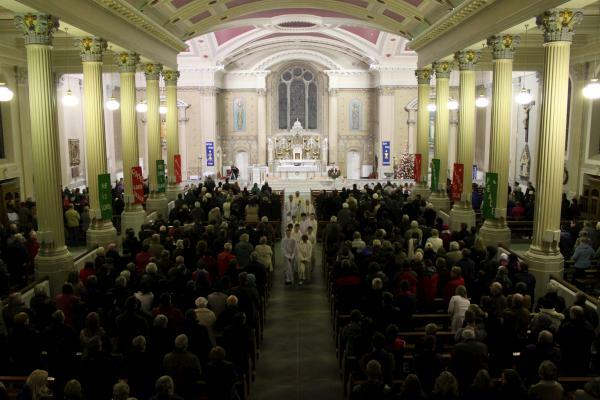 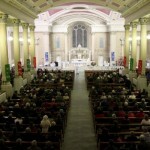 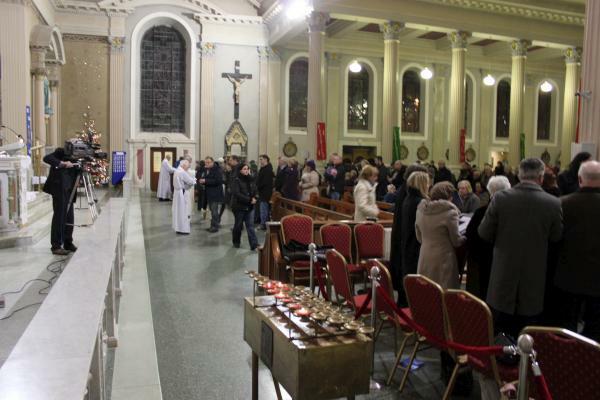 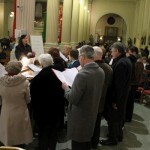 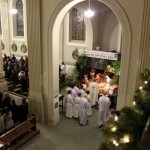 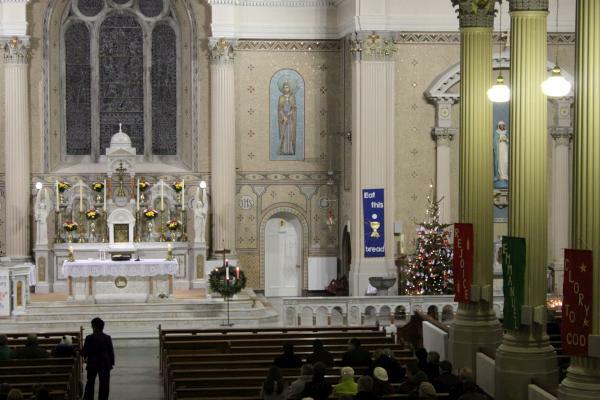 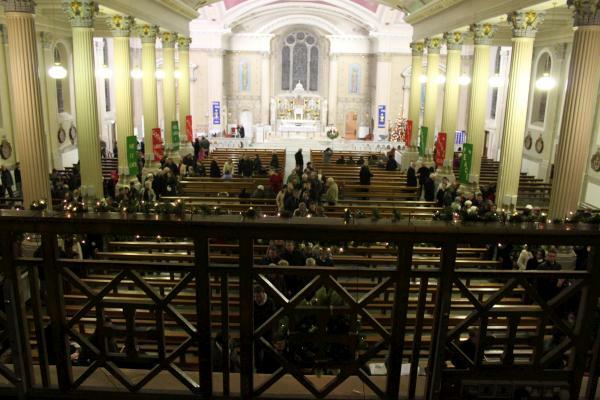 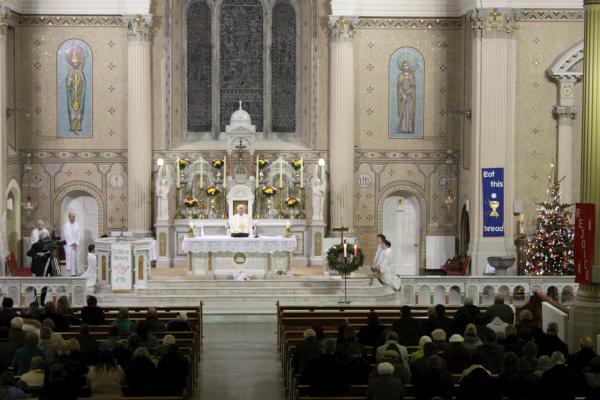 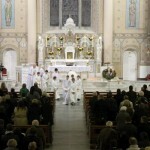 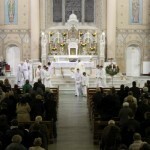 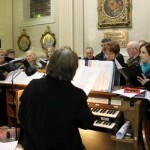 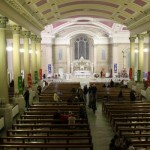 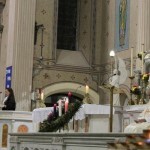 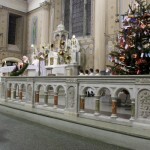 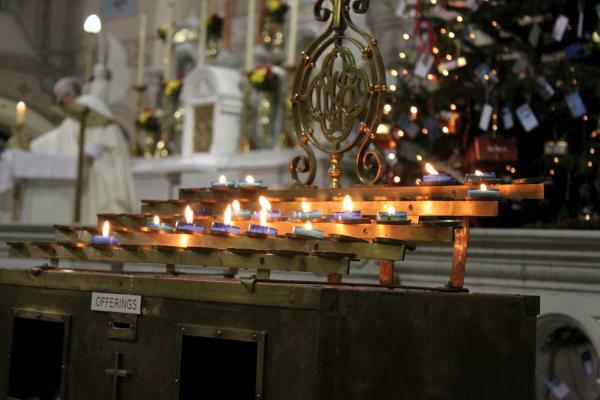 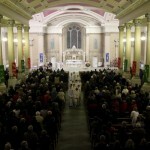 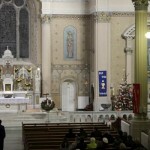 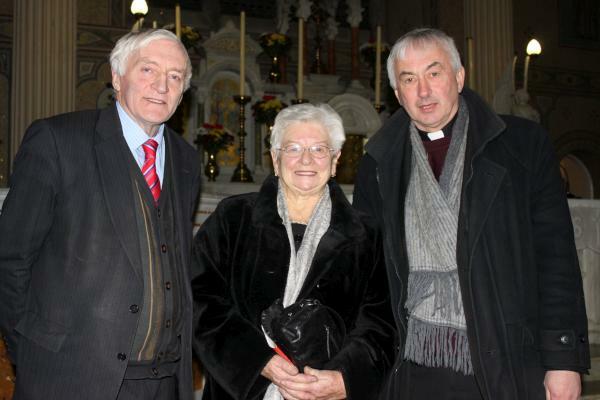 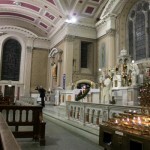 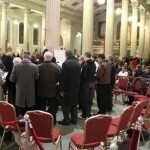 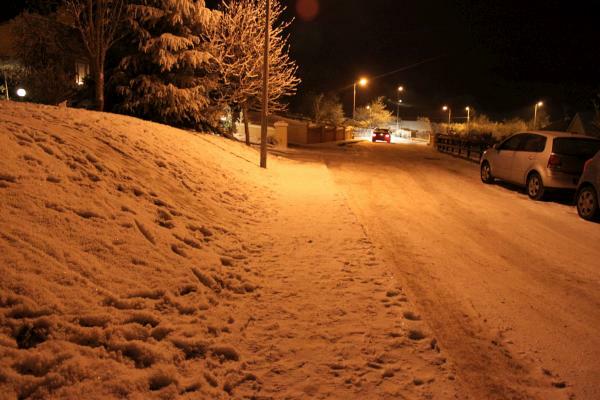 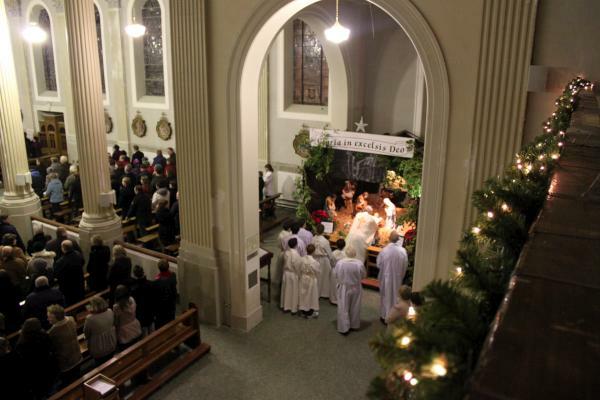 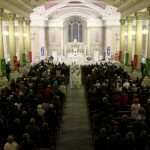 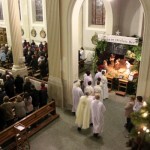 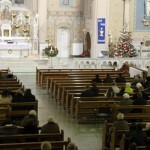 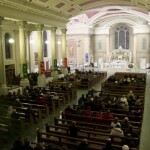 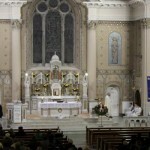 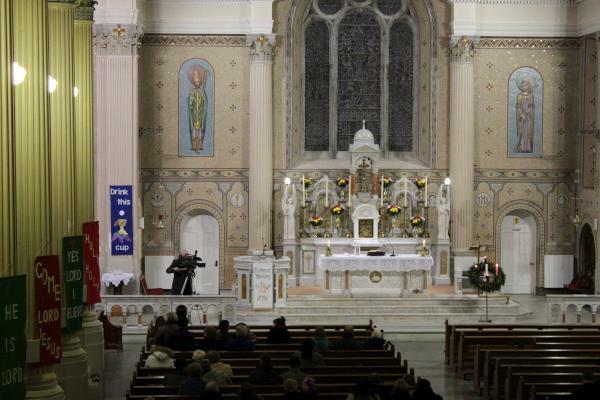 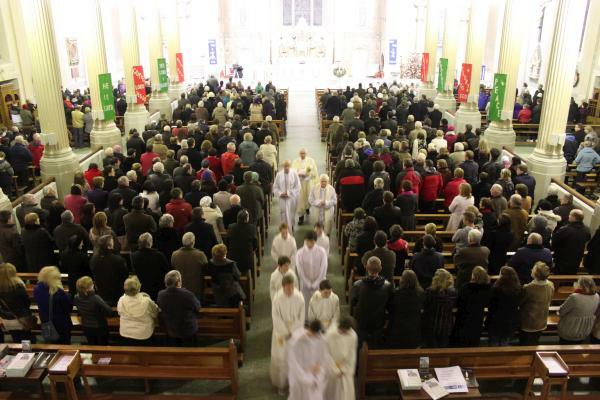 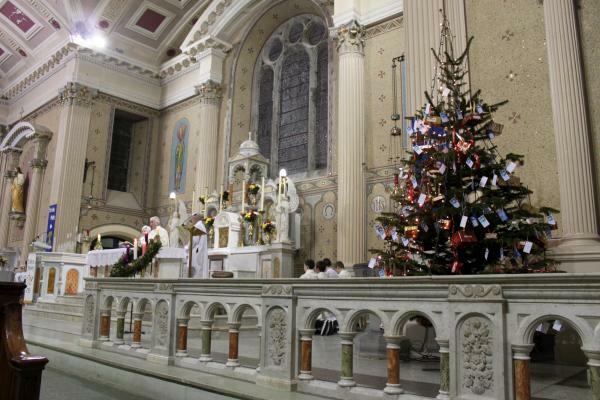 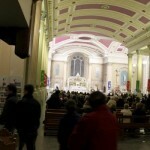 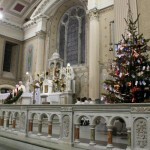 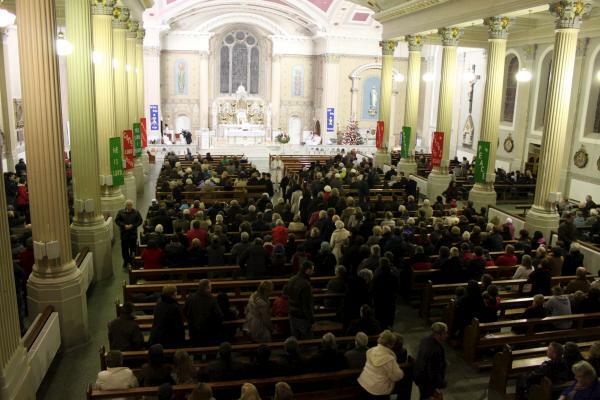 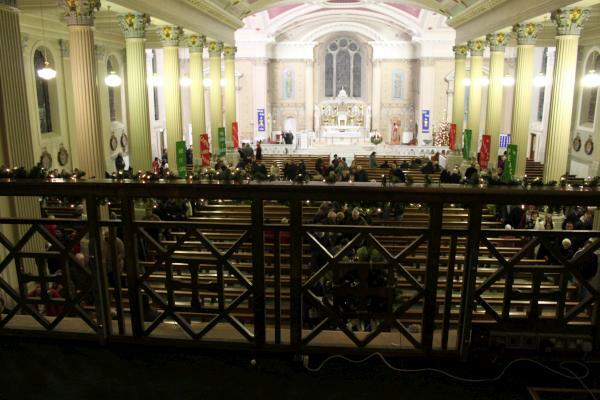 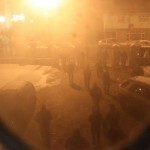 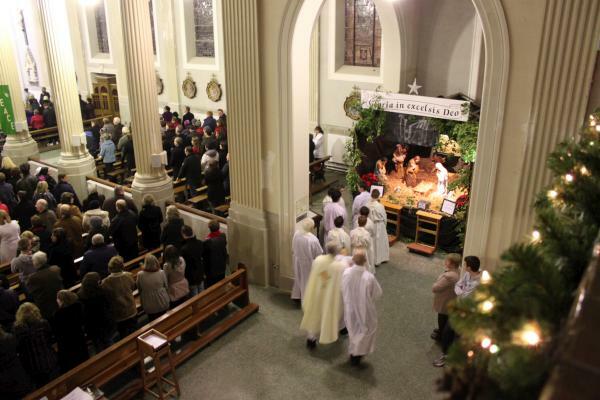 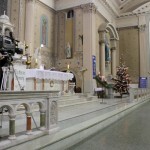 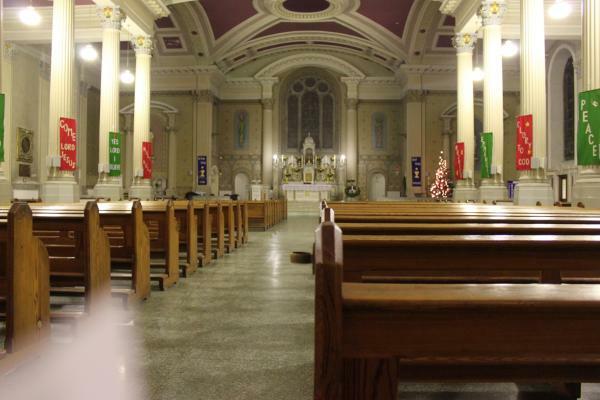 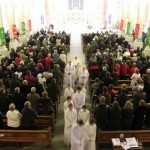 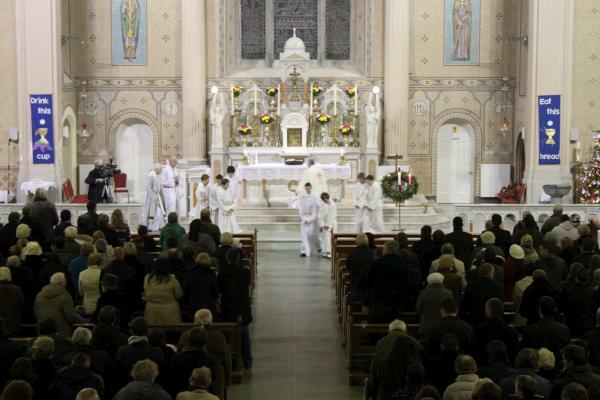 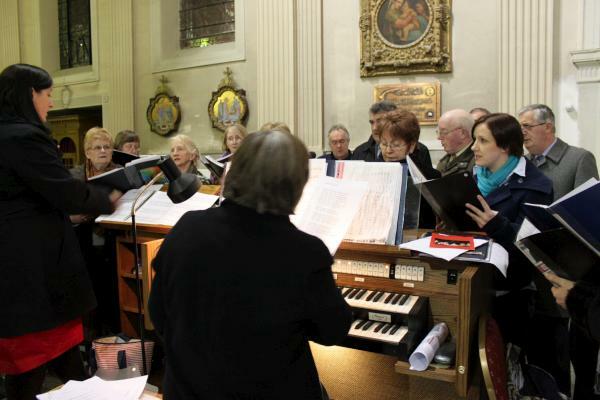 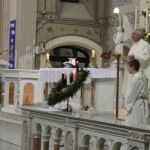 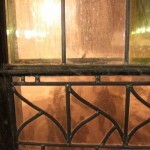 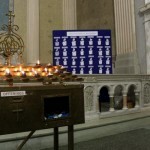 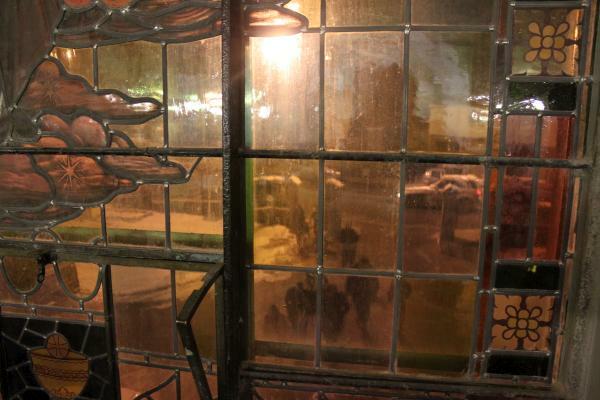 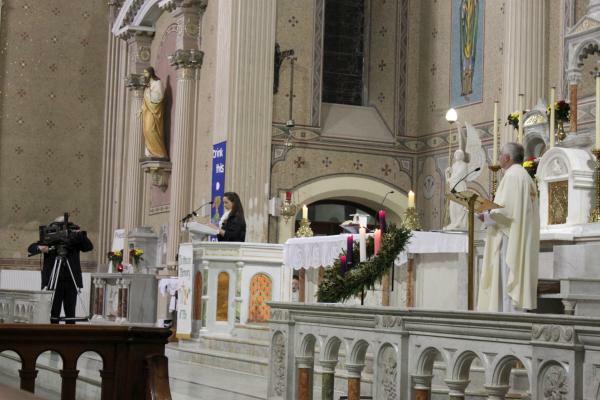 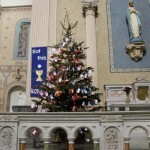 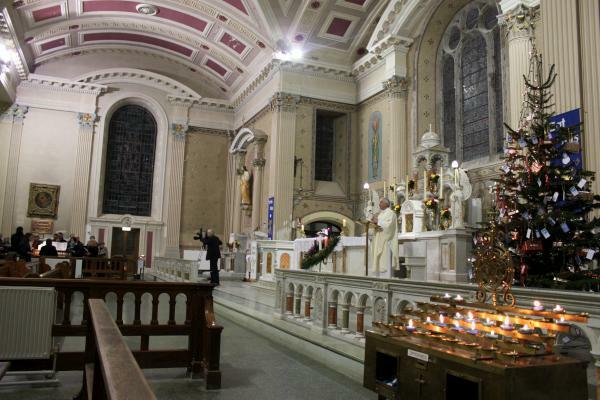 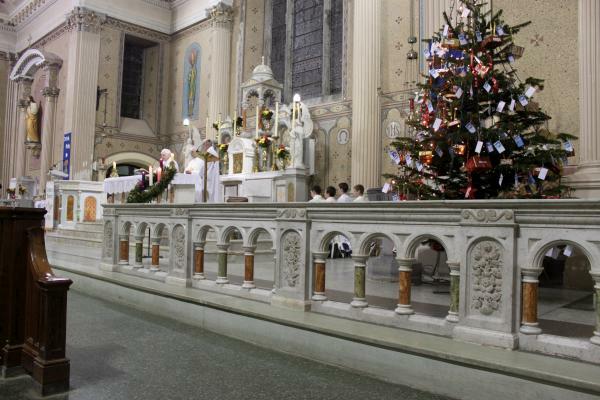 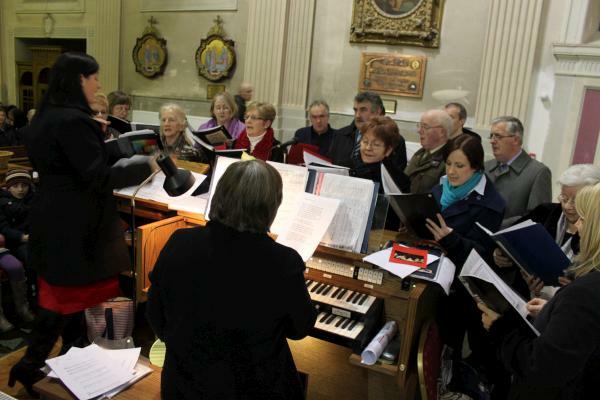 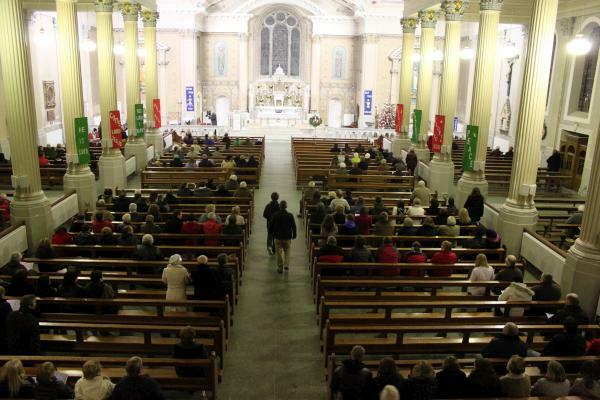 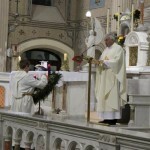 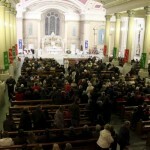 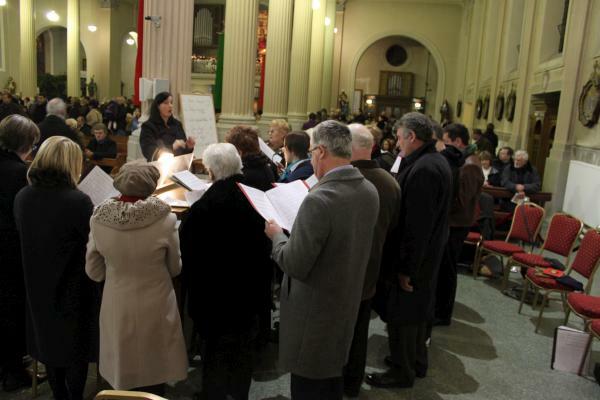 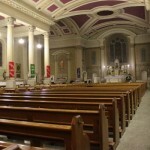 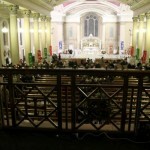 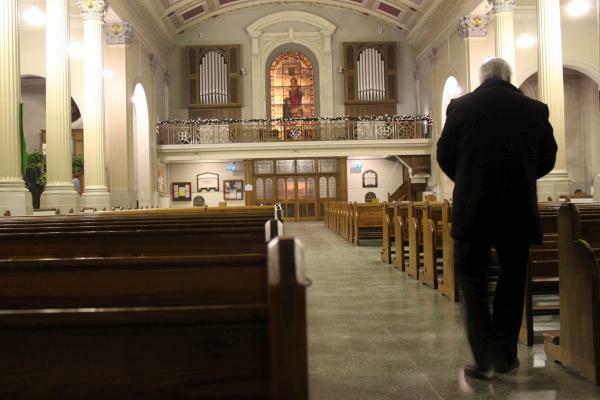 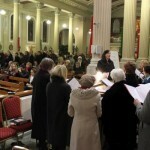 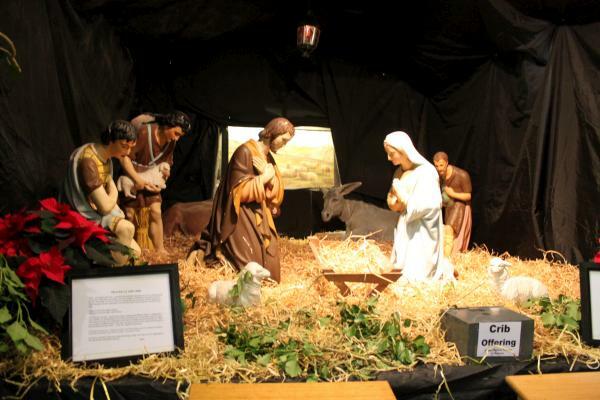 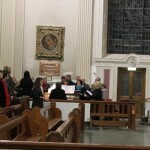 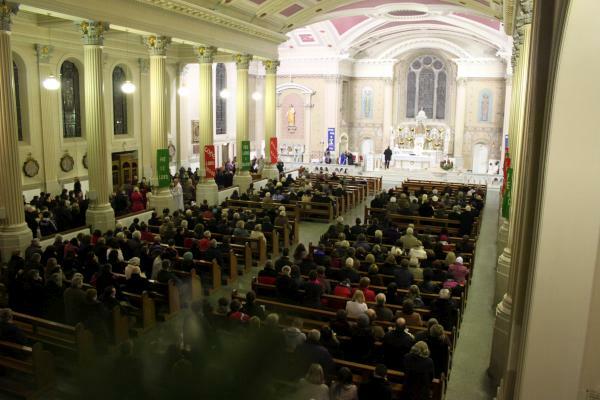 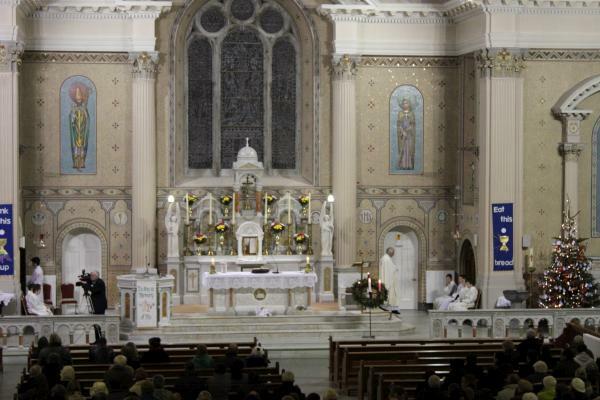 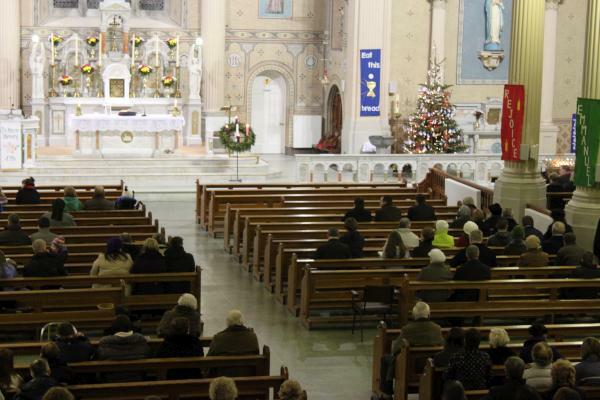 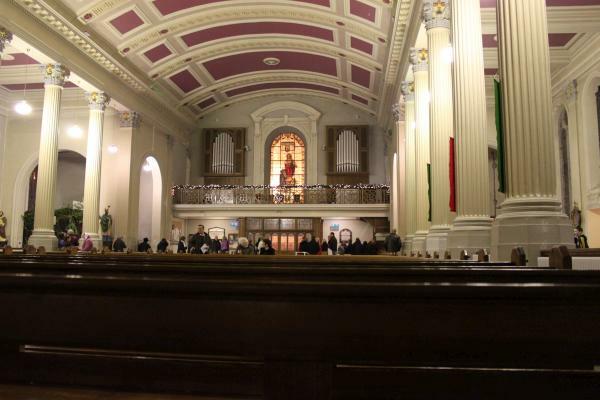 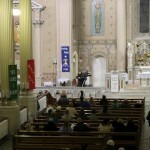 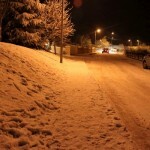 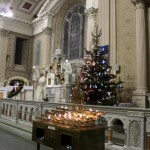 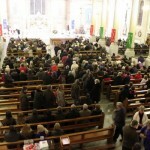 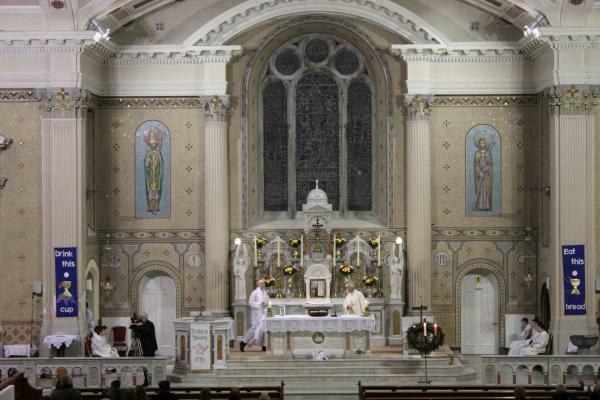 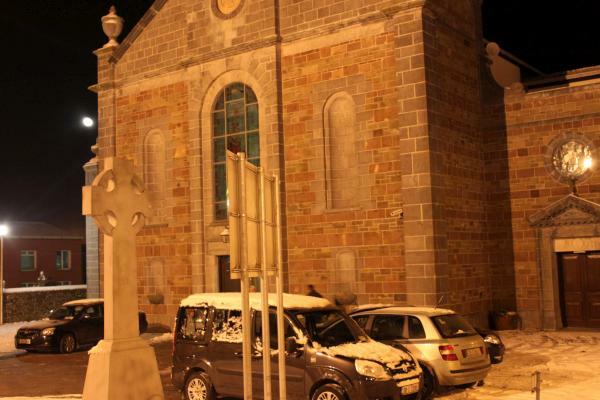 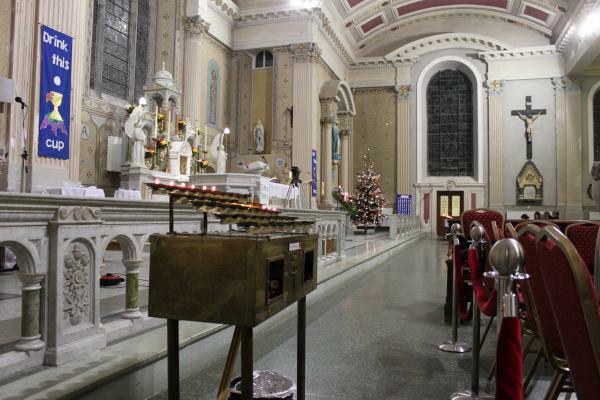 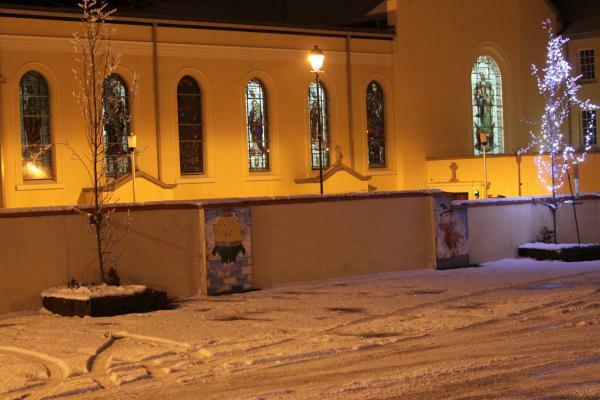 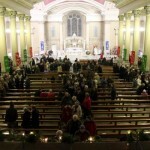 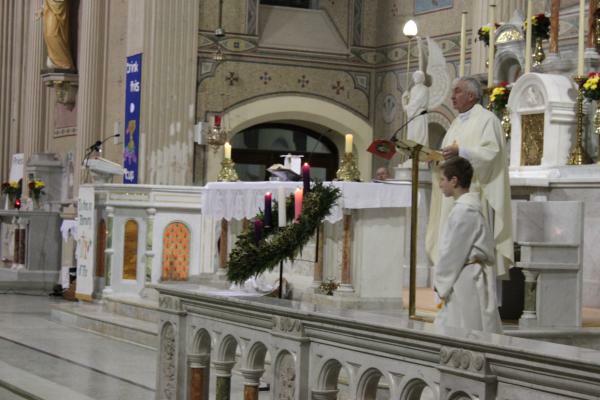 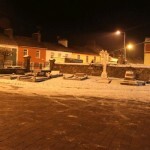 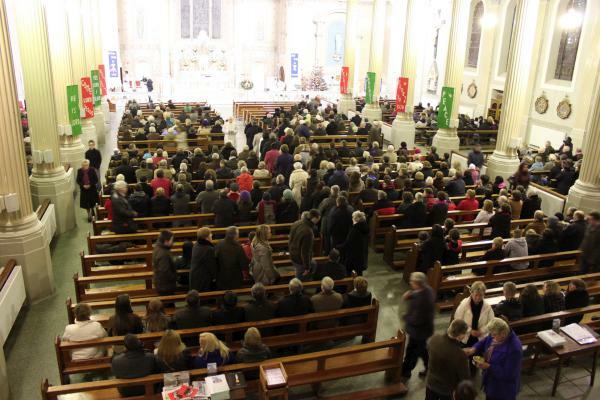 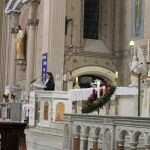 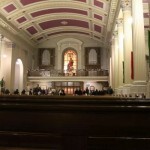 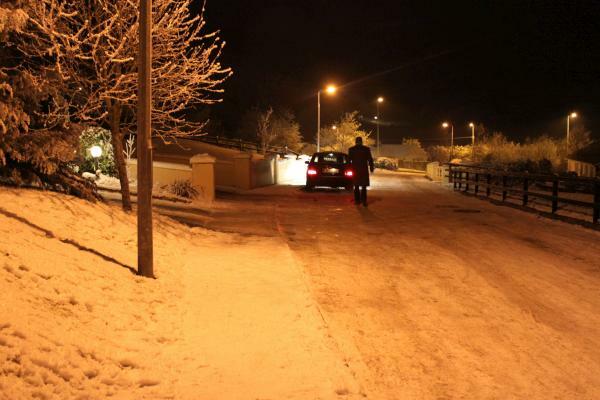 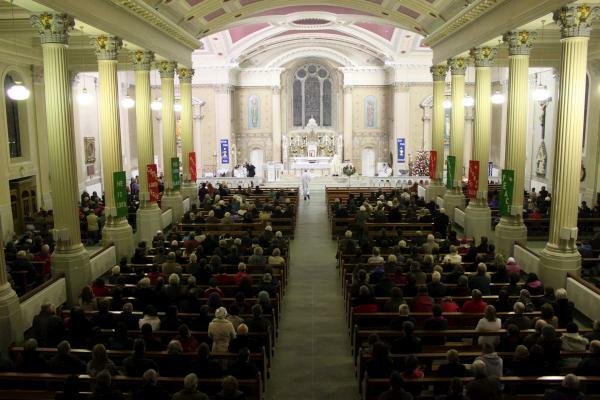 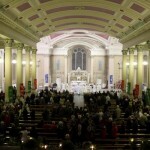 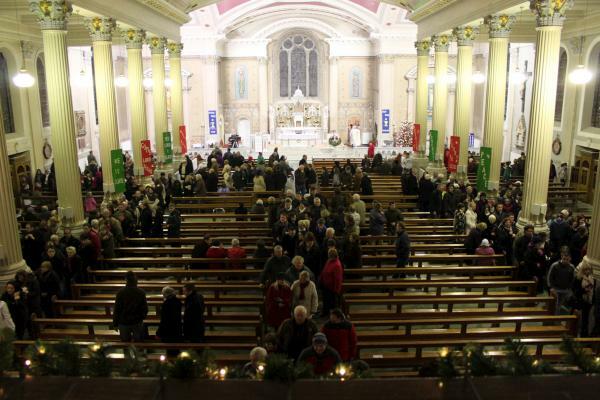 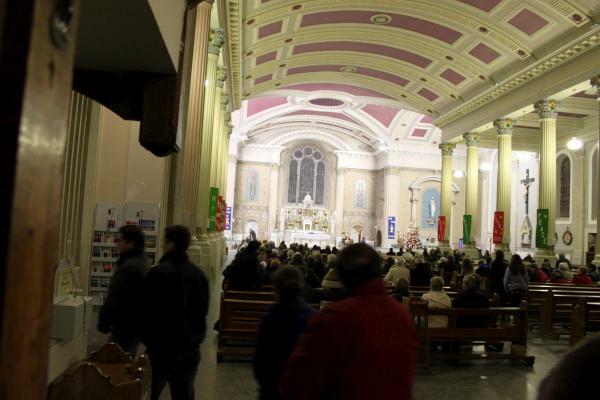 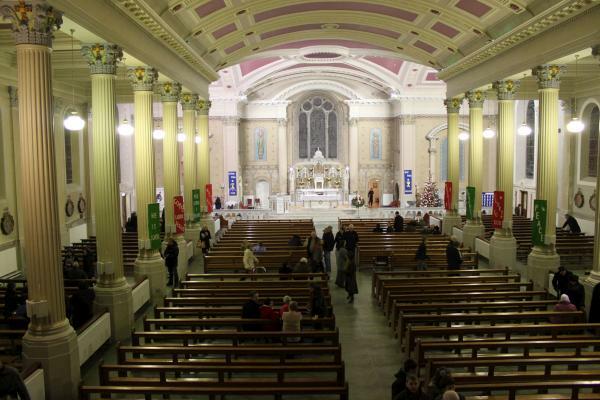 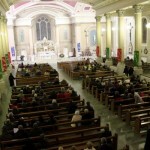 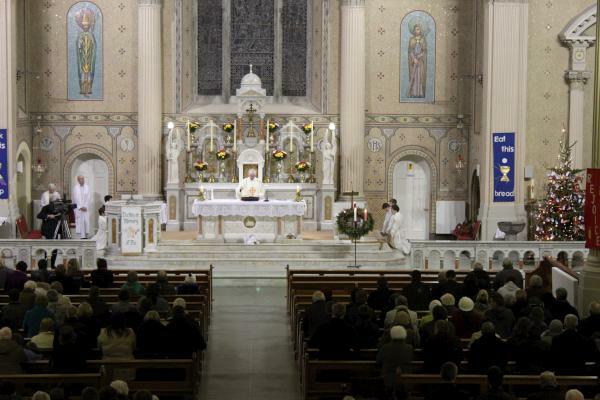 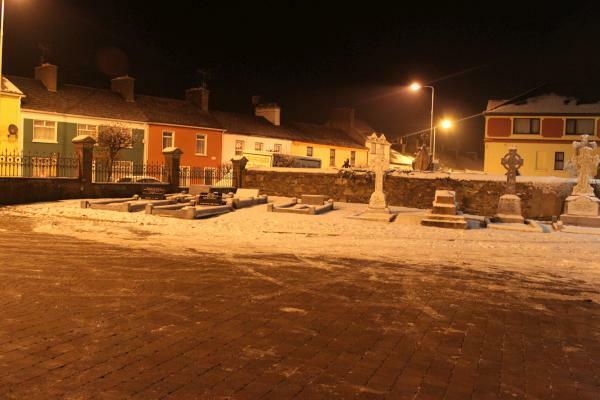 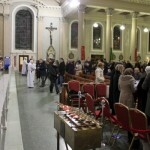 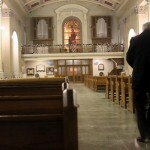 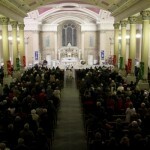 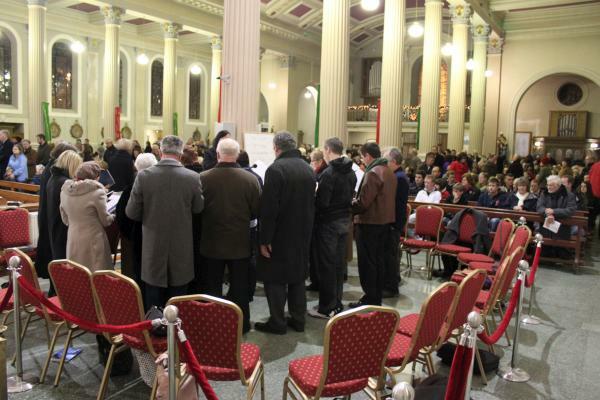 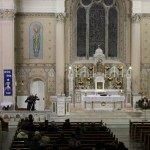 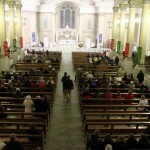 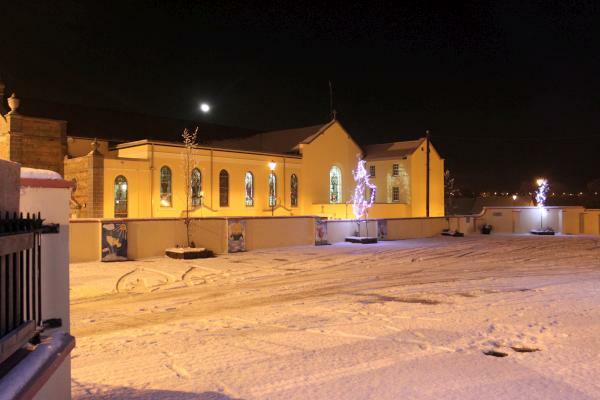 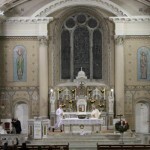 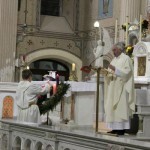 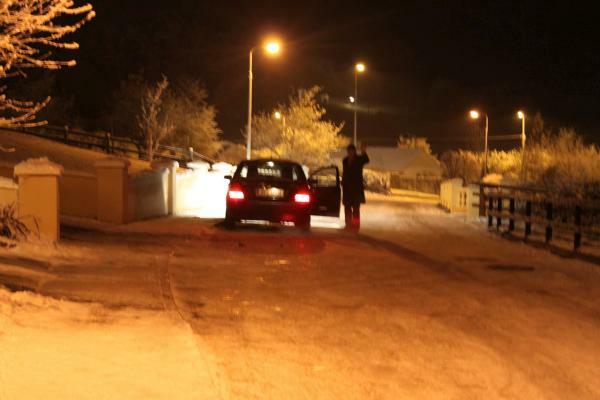 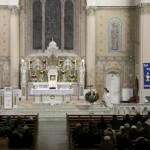 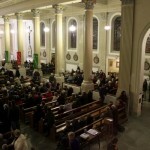 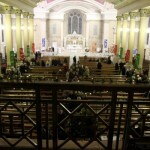 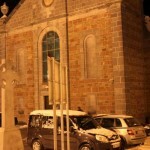 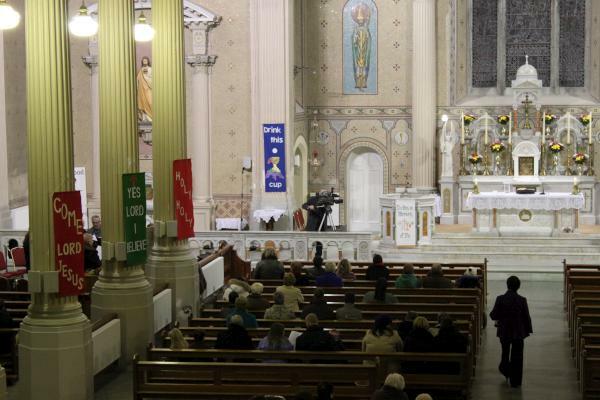 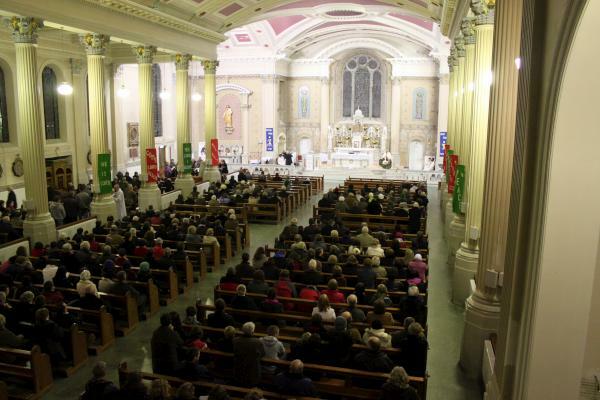 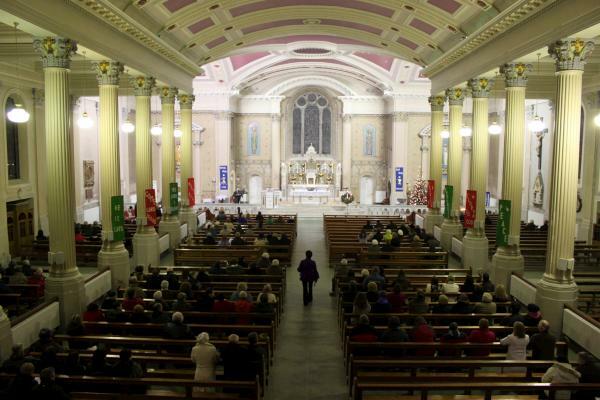 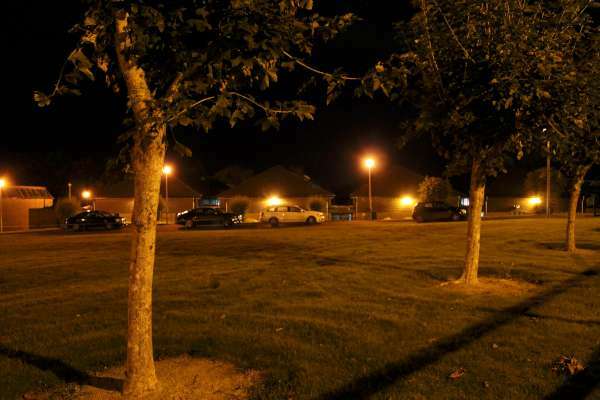 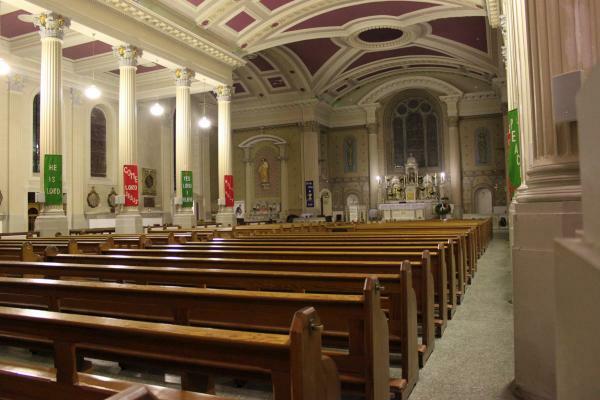 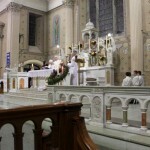 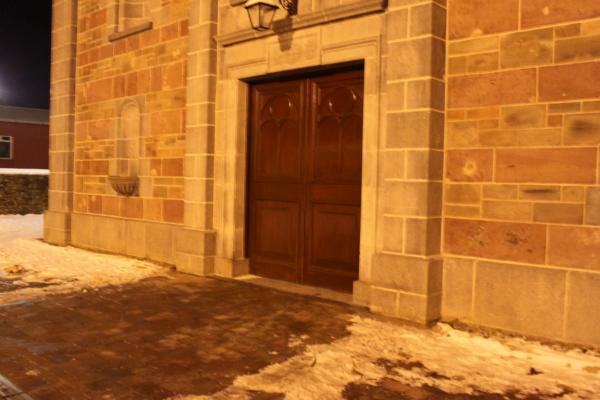 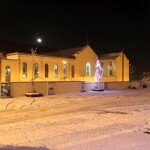 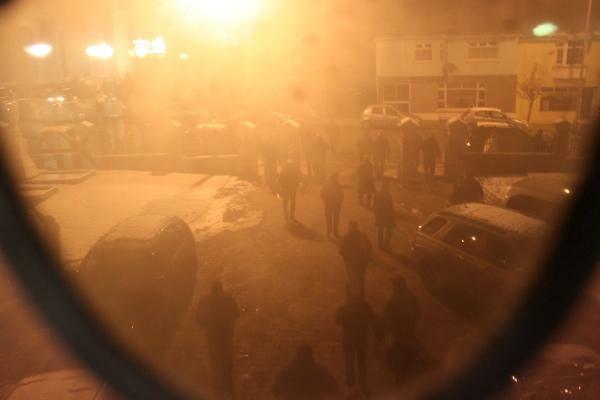 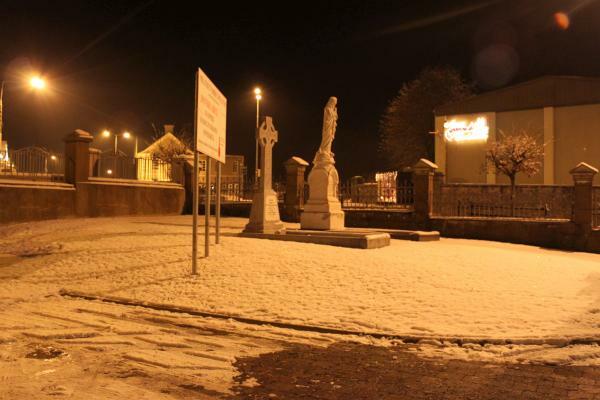 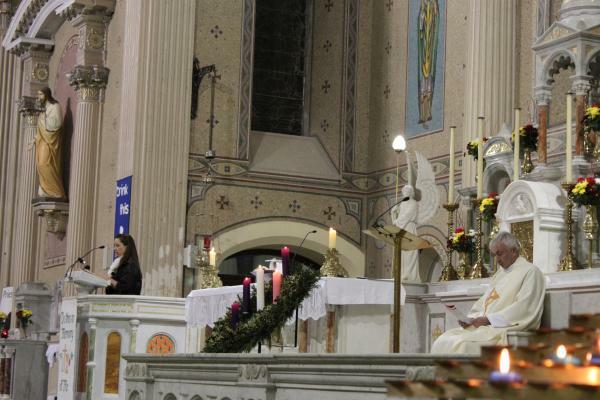 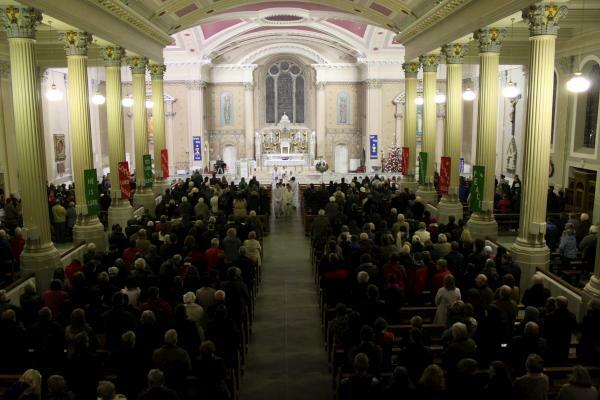 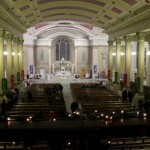 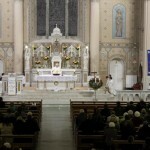 On this Christmas Day night we share images of Midnight Mass celebrated in Millstreet last night. 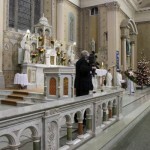 The Chief Celebrant was Fr. 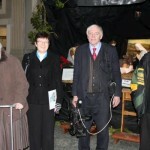 John Fitzgerald, P.P. 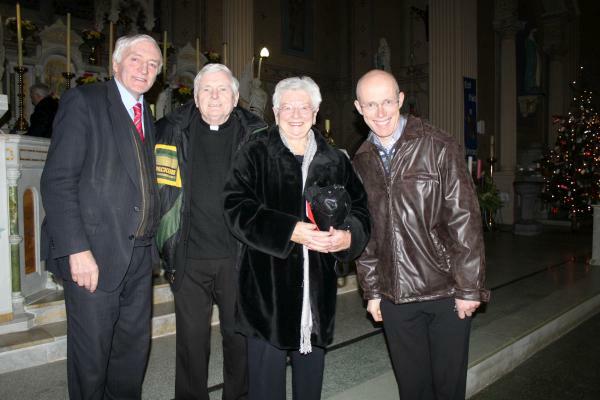 who was joined by Fr. 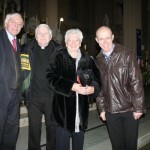 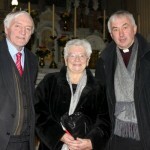 Paddy O’Byrne and Fr. 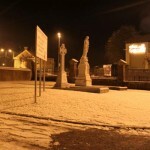 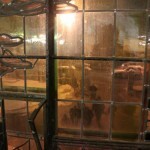 James McSweeney. 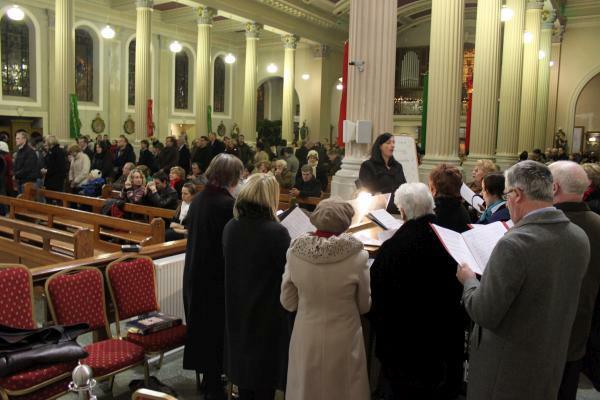 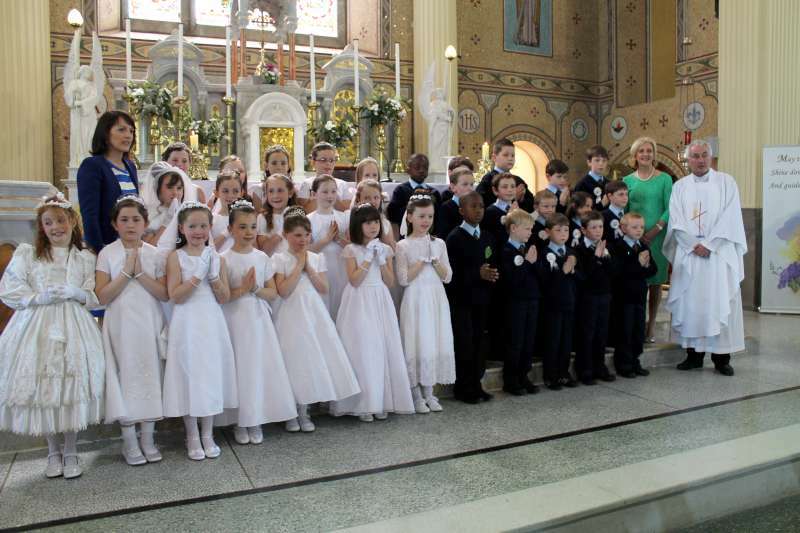 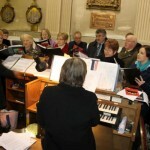 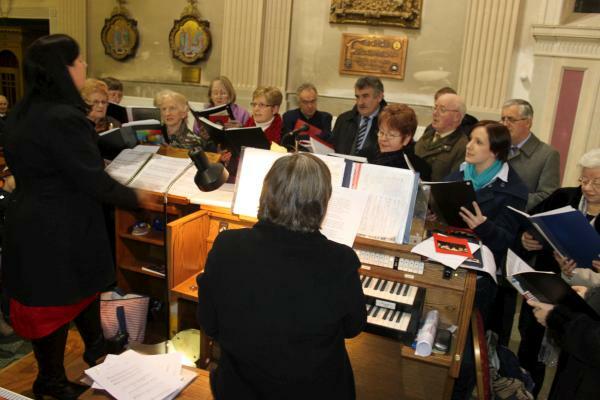 Millstreet Choir enhanced the Christmas liturgy with their beautiful singing. 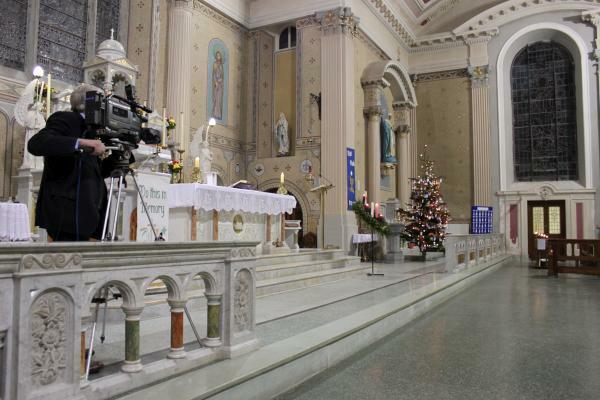 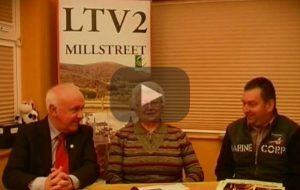 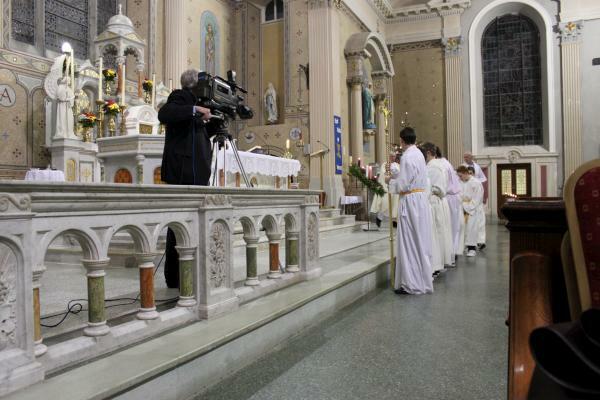 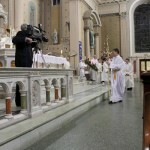 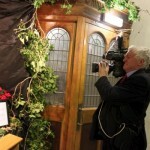 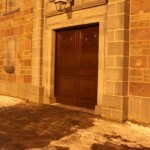 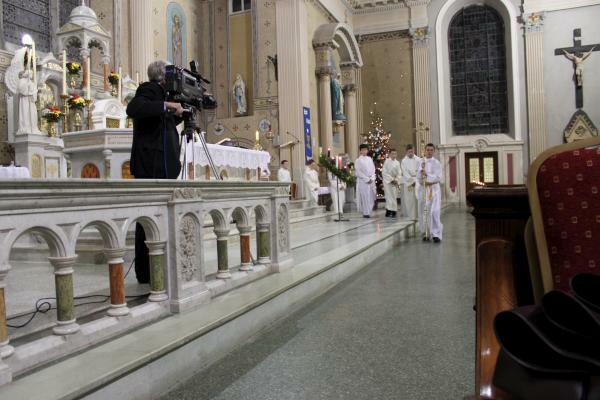 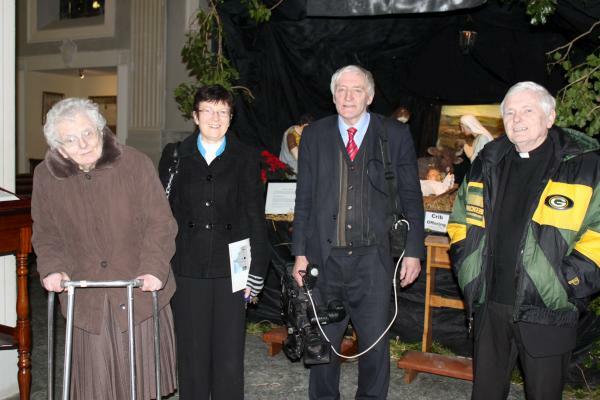 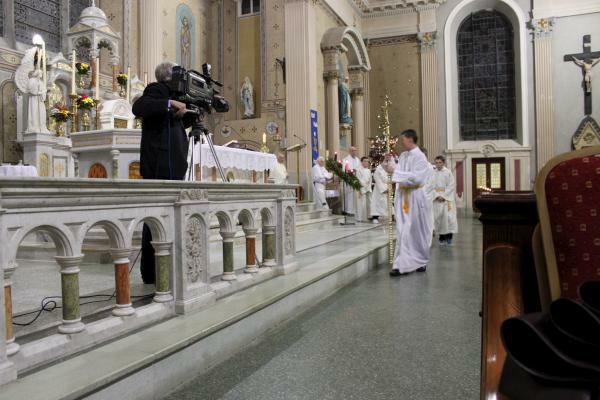 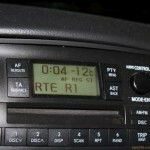 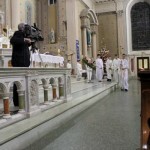 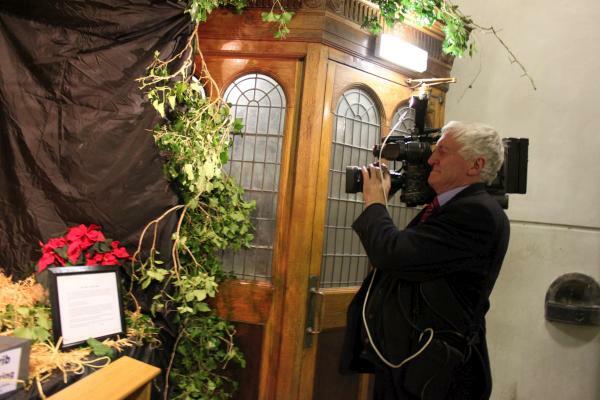 The special event was recorded by Dan Joe Kelleher of LTV and was broadcast this evening at 5.00 p.m. on LTV. 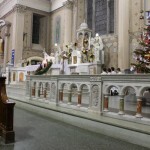 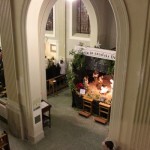 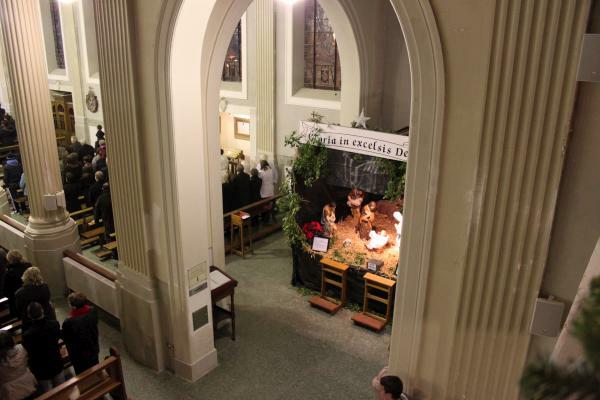 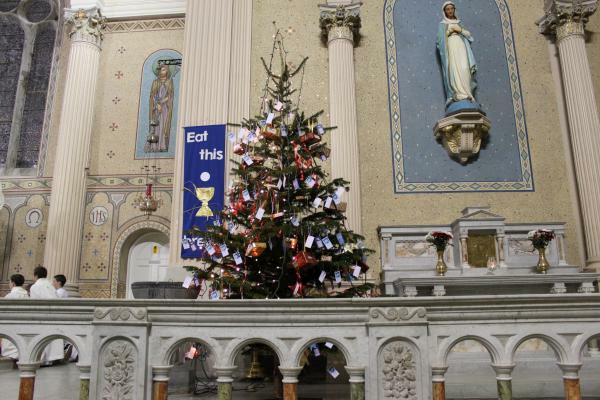 Great credit is due to All involved in the preparation of the Altar, the Crib and Christmas Tree with its Thought Cards. 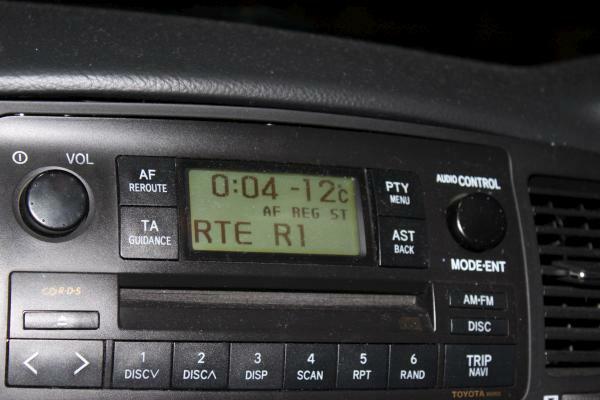 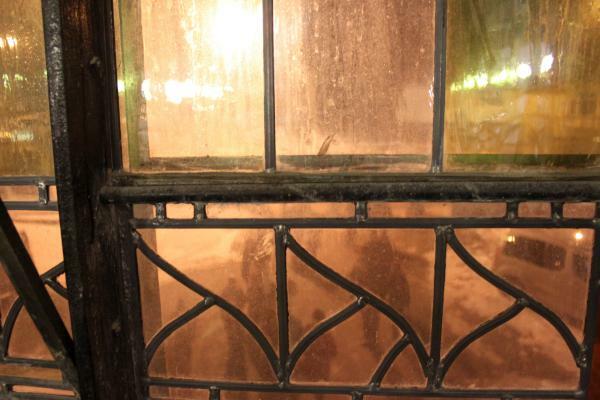 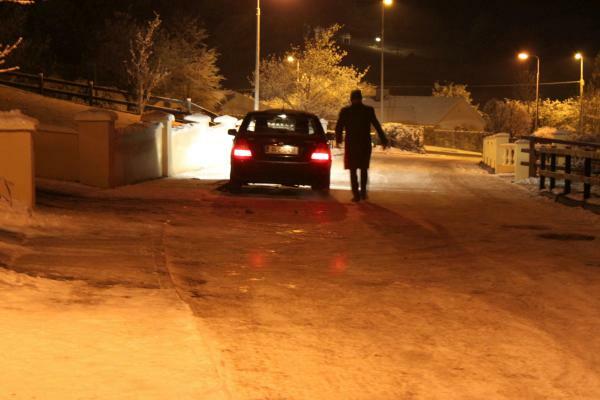 My special thanks to Dan Joe who drove me back to my home in Mount Leader with outside temperature at minus 12 degrees following Midnight Mass. 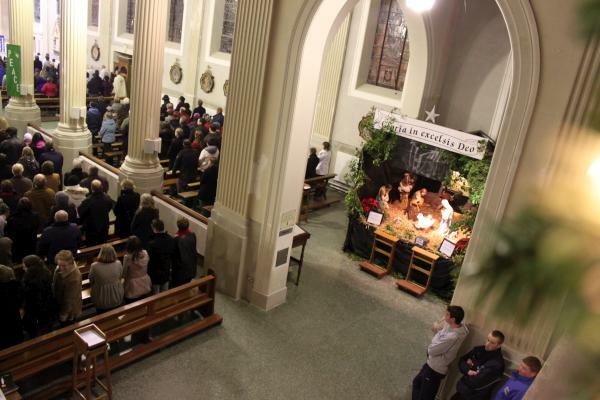 Placing the Infant Jesus in the Crib at Christmas Midnight Mass in St. Patrick’s Church, Millstreet. 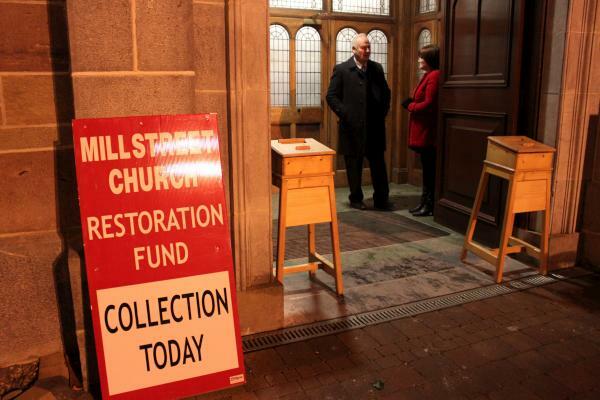 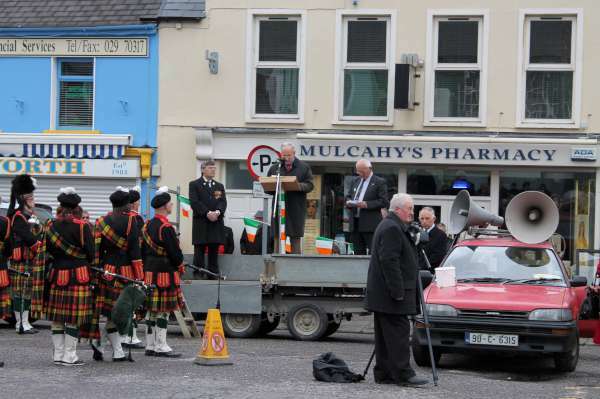 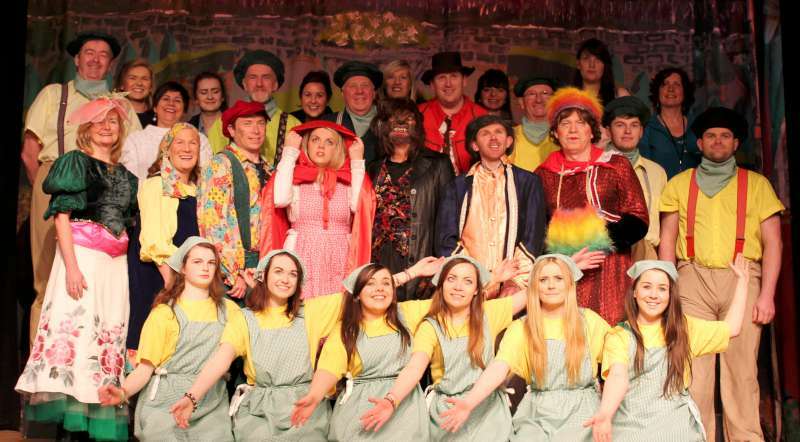 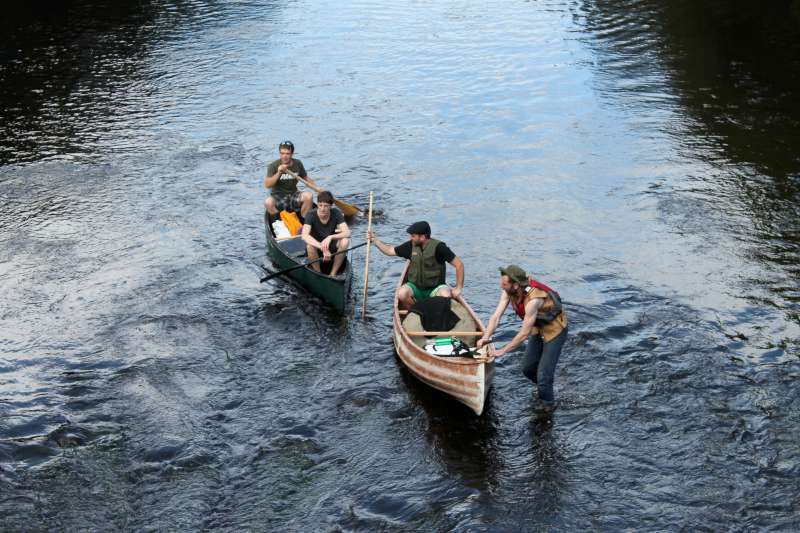 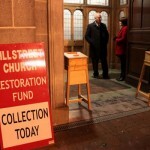 Delighted to be able to share the selection of images, Elizabeth, of this very special annual occasion in Millstreet.